Experienced & Result-Driven Malpractice Attorneys Providing Effective Representation in South Jersey & North Jersey. A peer reviewed study recently published in the Journal of Patient Safety concludes that hundreds of thousands of people each year suffer some sort of preventable medical error that contributes to serious additional injury or death. If you have sustained an injury during the course of medical care, you may have a medical malpractice claim. Each state establishes its own laws regarding medical malpractice. If you live in New Jersey, it is important for you to consult with a lawyer that specializes in New Jersey, medical malpractice law before filing a lawsuit. New Jersey medical malpractice law allows you to be compensated by the healthcare provider in the event that you suffer harm from a medical error. What Is a Medical Error in New Jersey? Generally, medical malpractice in New Jersey occurs when a healthcare professional breaches the standard of care when providing treatment to a patient. “Standard of care” is a technical term that refers to the generally accepted practices and procedures that all healthcare practitioners in New Jersey would use when treating a patient suffering from a specific disease or ailment. This standard of care can vary depending on a number of factors, including the patient’s age and overall health. It is not enough, however, to establish that the doctor breached, or did not follow, the standard of care. A New Jersey medical malpractice lawyer must also prove that this breach directly resulted in the patient’s injury. This can be a difficult step to prove and often requires the assistance of expert witnesses. Your lawyer must find qualified medical experts who will define the standard of care, determine whether the conduct at issue violated the standard of care, and identify whether the medical professional’s conduct increased the risk of harm or directly caused harm to the patients. Simply stated, if your physician departed from the generally accepted, applicable standard of care, medical malpractice laws in New Jersey allow you to seek compensation for any injuries that result from the action, or inaction, of your health care provider. Slade McLaughlin, Paul Lauricella and the attorneys of the Firm will work with the most qualified physicians in the country to evaluate and prove your case. Many attorneys will claim to specialize in Medical Malpractice, but Slade McLaughlin and Paul Lauricella have consistently obtained seven and eight-figure-verdicts for their clients in situations of hospital malpractice, birth injuries, surgical errors, failure to diagnose, and cancer misdiagnosis. There is no substitute for an experienced team of medical malpractice lawyers with a proven record of success, who will take the time to review your medical records and consult with the top medical experts in the United States to determine if you have a case. Patients or their loved ones have up to two years to file a lawsuit after they knew or reasonably should have known that the doctor’s conduct injured the patient. In the event that a minor is injured, the minor has until age 20 to file a lawsuit. In the tragic event that a patient dies, whether the patient is an adult or a minor, any lawsuit must be filed within two years of the date that the patient died. Our team of medical malpractice lawyers at McLaughlin & Lauricella, PC. are proud to work with families in these situations. For decades, Slade McLaughlin and Paul Lauricella have been getting justice for their clients across New Jersey – South Jersey & North Jersey. Our team of lawyers consists of some of the best medical malpractice attorneys in New Jersey will fight aggressively for our clients, both in and out of the courtroom, to ensure that their rights are respected every step of the way. 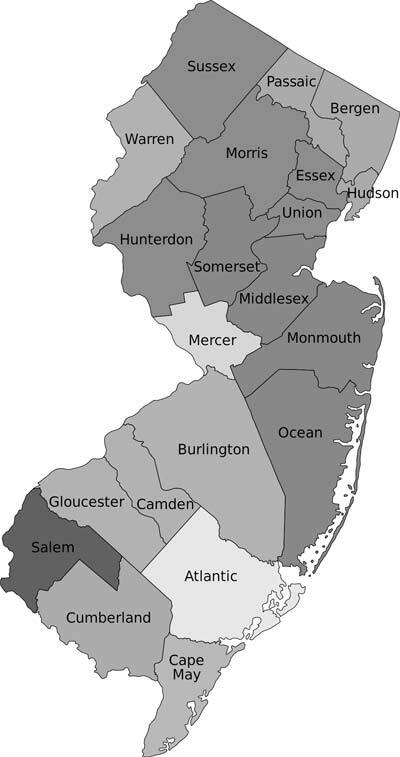 The attorneys of McLaughlin & Lauricella represent patients and their families across the State of New Jersey, including, but not limited to; Camden, Gloucester, Burlington, Salem, Cumberland, Ocean, Atlantic, Cape May, Mercer, Monmouth, and Middlesex counties. Ranked by many as the “Best” New Jersey medical malpractice lawyers, Slade McLaughlin and Paul Lauricella are setting record verdicts for their clients. With more than 68 years of experience handling medical malpractice cases, the law firm can put that expertise to work for you today. Please call us at 215-568-1510 or contact us by email, to see to see how we can help ensure that you receive the compensation you deserve. The trial for both of us was a difficult process, being highly emotional in regards to the severe injuries Tina sustained at the hands of another human being. We are however comforted knowing that you are there for us during this process. I can see settling the case, but I could never see settling the case for the amount of money that you ended up getting. You are terrific lawyer, and a great guy. My entire family thanks you from the bottom of our hearts. No amount of money will ever bring my son back, but you certainly gave us back the dignity and respect of his memory. I would recommend your representation to anyone who needs it and I will.